Laboratory Chimps Saved, Long Live the Chimps! The National Institutes of Health has halted all new funding for studies using chimpanzees, humans' closest evolutionary relatives, as scientific models for humans. Though it should have been done long ago, and it's not a ban on chimp research, it's great news. A new study spurred by pressure from animal rights activists resulted in a report from the U.S. Institute of Medicine that found using chimpanzees as models for humans in scientific experiments is mostly unnecessary. The IOM recommended that the NIH, which funds more than $31 billion in American scientific research annually, sharply curtail funding of chimp studies. Less than an hour after the report came out, NIH grand poobah Francis Collins said he's halting doling out money for new grant applications involving chimp research, and that he'll launch an investigation to determine which of the 37 ongoing studies should be completed and which should be shelved. Collins, who spearheaded the Human Genome Project a decade ago, estimates that about half of the studies would continue until they're finished. In the United States, 937 chimpanzees are kept for research in the United States according to the IOM report, and 612 are in facilities owned or supported by the NIH. The largest is the New Iberia Research Center in Louisiana, one of the only locations left in the world that performs invasive research on chimpanzees. 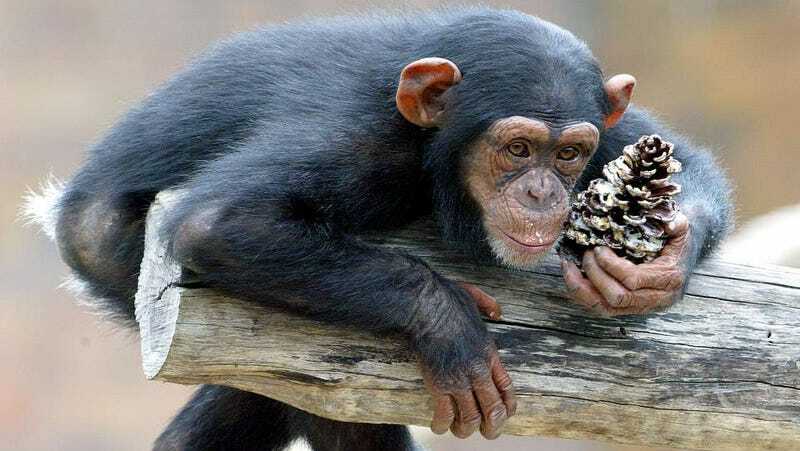 Chimps are used mostly in studies to discover new monoclonal antibodies—known as "magic bullet" drugs and used to treat many cancers and autoimmune diseases—as well as in hepatitis C research. But the IOM said that most of this work can be done using mouse models or by studying cells in a dish. The IOM report also said that an infectious disease outbreak (like the terrifyingly deadly avian flu I wrote about recently) would probably require using chimpanzees again. But the bar will be very high, as it should be. This report also does not apply to studies carried out by private industry, where scientists are free to torture study chimps as they wish (thought they're bound by the Animal Welfare Act).